On July 15, 2015, prominent academics, civil servants, corporate leaders and an audience of well over 300 people gathered at the Begin-Sadat Center for Strategic Studies for a discussion of the strategic and geopolitical aspects of Israel’s newly-discovered natural gas deposits. Below is a summary of the conference. Videos of select lectures (in Hebrew) are accessible by clicking on speaker names. Yossi Abu, CEO of Delek Ltd. Opening the conference was Dr. Uzi Landau, former Israeli Minister of Energy and Water. He provided an overview of the development of Israel’s natural gas reserves, and suggested changes necessary for advancing Israel as a strategic player in the regional gas situation. Dr. Landau explained that in 2003 Israel utilized no natural gas, whereas today 40% of Israel’s electricity production is fueled by natural gas. According to Landau, the 2011 Egyptian gas pipeline explosion taught Israeli society what it meant to live again without gas, and the general fear of a similar situation, including electricity outages and rising electricity prices, is what pushed forth development of Israel’s natural gas reserves. Israel’s success in developing the Tamar gas field, discovered in 2009 and online by April 2013, is a tremendous achievement, he said. Landau went on to blast government over-regulation of, and confused policymaking regarding, the gas industry, which has deterred investors, he said. Overcoming this and establishing a stable business environment should be a national priority, according to Dr. Landau. With the Leviathan field expected to provide 60-70% of the fuel for Jordan’s energy consumption, it has the potential to contribute to stabilization of Jordan, as well as furthering Jordanian-Israeli relations, he said. This point was expanded upon by Maj. Gen. (res.) Yaakov Amidror, former National Security Advisor to Prime Minister Netanyahu and the Rosshandler Senior Fellow at the Begin-Sadat Center for Strategic Studies. Amidror explained that it is not easy for the Jordanian government to rely on Israeli gas, but that the benefits of Jordanian-Israeli cooperation are overwhelming. Amidror believes that Israel must consider gas a fundamental security issue. By balancing the economic and strategic elements of the sector, it can prove a very useful geopolitical tool, he said. Former Commander of the Israeli Navy, Rear-Admiral (res.) Eliezer Marom, explained the meaning of an exclusive economic zone (EEZ), waters in which a state has exclusive use of the resources which can be declared up to 200 nautical miles from a state’s shores, and the difficulty of protecting an EEZ, compared to resources within a country’s territorial waters. Marom mentioned that with sanctions against Iran soon to be lifted and Iranian hegemonic ambitions emboldened, threats against Israeli maritime assets could increase. Closing out the second session was a talk on investor-government relations in the energy sector, given by Dr. Efraim Chalamish, an international economic law scholar. Dr. Chalamish proposed that foreign investment in Israel’s natural gas sector presents a unique partnership between local and foreign companies, which has been linked to increased wages for workers in that sector. Nearly 40% of all investor-government disputes are related to the energy sectors, and even still there are additional undiscussed economic risks of long term investments in energy. 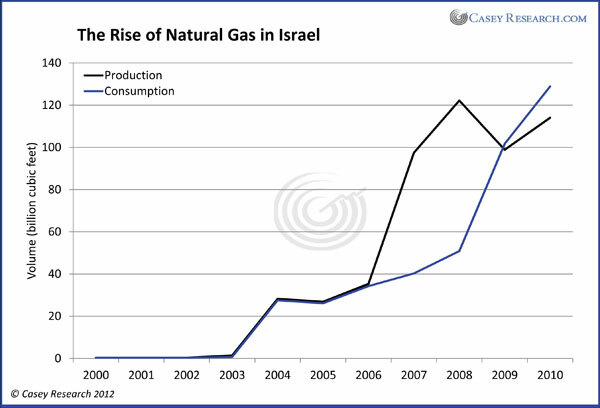 That being said, a traditional political regulatory risk still has a critical impact on investment decisions and due to the closed nature of the Israeli economy (relative to the OECD average and that of U.S.), changes to the regulation of the natural gas sector in Israel need to be considered. The final session of the conference drilled down on additional geopolitical perspectives. Prof. Efraim Inbar, Director of the BESA Center, focused on the large share (90%) of Israeli foreign trade going through the Eastern Mediterranean and Israel’s relations with the surrounding nations. Syrian weapons being passed to Hezbollah, increased Iranian pressure and cash flow to nearby countries, and Turkey’s pushback against Western influence – all pose serious threats to both Israeli politics and economics, he said. Inbar advocated for the establishment of a stronger Israeli navy. Ms. Gina Cohen, a consultant and lecturer on natural gas law and economy at the Technion Israel Institute of Technology, described four Israeli export options. The first of these export options is to create a pipeline to supply the Palestinian Authority, Jordan, and Egypt – which is the technically easiest option of the four. The second option would be to construct a pipeline to either Turkey or Greece; and with Turkey located closer than Greece, this would not only be the simpler of the two proposed paths, but would also have the ability to effect political change by connecting the two nations. The third and fourth options employ liquefied natural gas (LNG) operations for export as far as Europe or Asia. Ms. Cohen suggested that the best commercial option of the four would be to pursue LNG exports to Egypt. The possibility of cooperation between the governments of Israel and Cyprus, which are both in possession of considerable Mediterranean gas resources, was the topic of a talk by Dr. Theodoros Tsakiris, a member of the Geostrategic Council of the Republic of Cyprus. After Egypt’s collapse as a possible exporter, Dr. Tsakiris believes now is the time for Israel and Cyprus to turn Egypt into a significant buyer. Sales of gas by both nations to Egypt would help stabilize the region, according to Dr. Tsakiris, and in addition, he feels that Greece can play a constructive and significant role in the region. Cyprus is currently dealing with Turkey’s claims to Cyprus’ EEZs, and the recognizing of the Republic of Cyprus by Turkey would be a prerequisite to the building of any pipelines to Turkey across a Cypriot EEZ. The final speaker at today’s conference was Ron Adam, Special Envoy on Energy for the Israeli Ministry of Foreign Affairs. He stressed the importance of Israel’s connection to the international energy organizations such as IEA and IRENA for networking purposes, and the ability to connect Israeli resources with international partners. 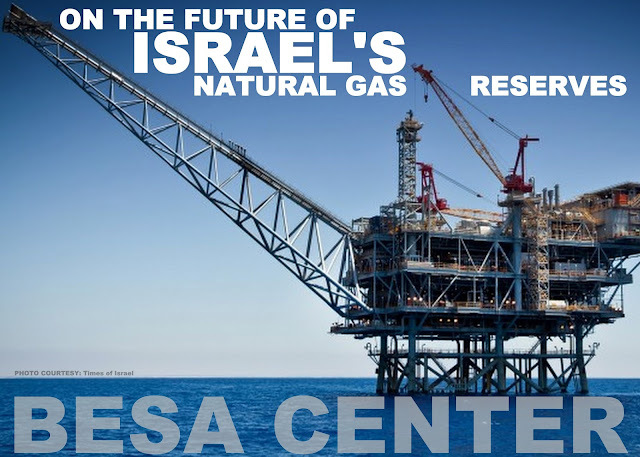 The unifying theme that emerged from the conference was the importance of natural gas as a strategic geopolitical tool, which can help Israel improve ties to its Middle Eastern neighbors. Protecting these resources against the possibility of attack is a serious concern, as is over-regulation and inconsistency in domestic tax and royalty policies.